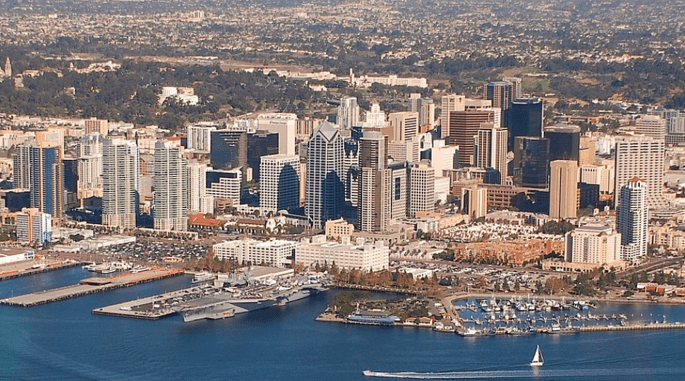 From the scenic coastal communities to a world-famous Zoo to hubs of scientific innovation, San Diego has an eclectic population and one that also reflects the varied styles of the top financial advisors and wealth managers in the city. If you’re looking to chart a strong financial path forward and help meet your future goals, one of the best ways to do that is by partnering with a top-rated wealth manager or financial planner in San Diego. People’s financial dreams are as unique as they are. You may dream of traveling the world during retirement, saving for your dream home, or just being able to fund a child’s education to whichever college they choose. Wherever your financial goals lead, a financial planner can help you chart the right course to make them happen. But, with so many options in San Diego, CA for financial advisors, how do you begin to narrow down the list? It could mean a lot of research for you… or you could take a shortcut and read through our list of the best wealth management firms in San Diego. We’ve gone through multiple firms to narrow down your choices to 12 amazing firms that have some excellent qualities that make them trusted financial advisors. San Diego is particularly rich with 5-star firms. Do they work with everyone or only high-net-worth clients? Do they have specialties, such as working with certain client types? What is their firm personality like, button-up or more laid back? Do they offer additional services, like tax planning or accounting? As you go through these top contenders for your perfect financial advisor in San Diego, consider those points above and how they match your own financial needs, preferences, and future goals. What’s the Difference Between Fee-Only vs Fee-Based Financial Advisors in San Diego? 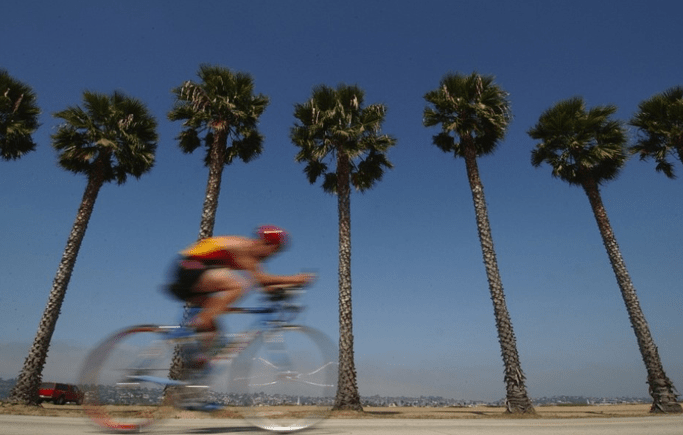 Is it better to work with a “fee-only” or “fee-based” San Diego wealth management firm? The two terms are similar but have very different meanings. In order to choose the best financial planning firm in San Diego, CA that fits your desired level of trust and transparency, you’ll want to understand the difference between those two terms and what fiduciary means. Here’s a run-down of each term. When a financial advisor in San Diego states that they are “fee-only,” that means that they do not accept commissions or third-party referral payments from companies that sell financial products. This is the most desirable fee structure because it means there aren’t conflicts of interest due to an advisor earning a commission on a particular financial product. The advisor’s only source of income comes from the client, so you know they’re making completely unbiased recommendations. Fee-based firms do accept commissions from the companies who provide their financial products, in addition to their client fees. A fee-based structure can create some potential conflict of interest due to advisors having an extra incentive to recommend one product over another. This is why many fee-based San Diego financial planners are also fiduciaries, which often counteracts the potential for conflict. Both fee-only and fee-based San Diego financial advisors can choose to be fiduciaries. This means that they take on a legal obligation to always act in their client’s best interest and to be completely transparent regarding fees and commissions. Below, please find the detailed review of each firm on our list of 2019 best wealth management firms in San Diego, CA. We have highlighted some of the factors that allowed these financial advisors in San Diego to score so high in our selection ranking. AWM Global is led by a talented team with over 60 years of combined experience providing financial advisory services in San Diego, CA. They believe in developing long-term relationships, and many of their clients have been with them for over a decade. This wealth management firm in San Diego is fee-only meaning they do not accept 3rd party commissions for recommending a product or service. If you’d like to work with just a single financial advisor in San Diego for multiple financial services beyond just investing, then you’ll be happy with AWM’s wide range of services. They work with the U.S. and international clients as well as multinationals on a variety of financial planning and wealth management needs, which makes them an excellent San Diego advisor to use for multiple specialized requirements. An excellent way to get to know a potential San Diego financial planning firm is through a free portfolio analysis. This allows you to get a feel for the type of expertise they have and how you feel about working with them in person. AWM Global Advisors allows you to “try them for free” so to speak with their Free Portfolio Risk Analysis that can help you identify whether or not your risk tolerance is being reflected in your current portfolio assets. It’s easy to get started with their free risk analysis, just visit this San Diego investment management firm’s website and scroll down until you see the mention of riskalyze. The unique international services offered by AWM Global Advisors shows that they definitely stand up to their name. Its wide range of services offers exceptional value, especially to clients that are dealing with cross-border financial situations. The fact that they make a fiduciary commitment to put their client’s needs first offers potential clients a foundation of trust. Its global expertise and the wide range of financial offerings, along with a client-facing philosophy have earned AWM Global Advisors a 5-star rating as one of the best San Diego financial advisory firms to consider working with in 2019. Blankinship & Foster is a San Diego financial advisor that specializes in the financial needs of pre-retirees, retirees, and women in transition. The firm was founded in 1974 to change the paradigm of financial planning from product sales to being client-focused counselors. This wealth management firm in San Diego, CA is fee-only fiduciary, upholding a high standard of commitment to their clients. Blankinship & Foster has a long history of providing financial guidance to women who are experiencing significant life transitions, like divorce, death of a spouse, inheritance, and more. It’s more common for women to undergo significant life changes than men, which led this wealth management firm in San Diego to design a customized approach to guide the sensitive needs of their clients during these transitions. Listening and understanding the nuances of your story to best serve your financial needs. Exploring options and providing you with the tools to make smart decisions for your future. Deciding the best path forward and weighing your emotional and financial considerations objectively. For the San Diego financial planners at Blankinship & Foster, successful wealth management includes carefully considering all aspects of your financial health. Their proactive financial guidance takes into consideration areas of your financial wellbeing such as cash flow, taxes, risk management, and investment strategies. The Blankinship & Foster team provides a safe haven for individuals that are looking to secure a comfortable retirement or women going through life transitions. Their fee-only, independent, and fiduciary services create a solid foundation of trust within the client-advisor relationship. With a client-centric approach and fully integrated financial planning for all aspects of financial health, Blankinship & Foster is one of the top financial advisors in San Diego to consider partnering with this year and scores a 5-star rating. With a mission to help clients articulate their financial dreams, Creative Capital Management Investments (CCMI) creates personalized strategies to make those dreams a reality for their clients. The firm is a fee-only San Diego financial advisor that takes a proactive approach to wealth management and for more than 40 years has been assisting individuals, families, professionals, and business owners with their financial needs. The firm specializes in providing proactive services for financial planning and wealth management in San Diego to families, individuals, and business owners alike. To address their clients’ unique needs in a meaningful way, CCMI has developed a 9-step process that allows them to identify, initiate, and execute all areas in each client’s financial plan. From understanding your financial objectives to determining your tolerance for risk, CCMI looks at all critical portfolio options. This careful attention results in an investment portfolio that is regularly monitored and updated to ensure it’s flexible to accommodate your needs and market changes. CCMI’s comprehensive and proactive approach to financial planning offers a well-rounded strategy that takes risk and reward equally into consideration. As a fee-only, independent financial advisor in San Diego, Clients can trust that advice is unbiased. The firm’s more than four decades of experience also offer a lot of value to clients looking for informed and experienced financial advice. CCMI continues to be one of the best wealth management firms in San Diego, CA to consider and we’ve awarded them with a 5-star rating. Delphi Private Advisors was founded in 2009 to make institutional-caliber wealth management services accessible to individuals and families. They put a premium on personal relationships and providing exceptional service. This San Diego financial advisory firm is both fee-only and a fiduciary, upholding a firm commitment to conduct business with the highest level of ethical standards. Delphi Private Advisors believes in working closely with clients to create thoughtfully designed and managed portfolios that reflect their life goals. Throughout their entire process, these wealth managers in San Diego strive to be both transparent and attentive to your needs. Through the Insights area of their website, this wealth management firm in San Diego, CA provides meaningful information on a variety of important financial topics. This offers an added value that provides a thoughtful perspective in an unpredictable world. Topics cover a large area of the investment landscape, such as socially responsible investing, maximizing charitable gifting, characteristics of an effective 10b5-1, and more. Delphi’s mission to bring top wealth management practices to a wide variety of people and their personal approach is exemplified by the fact that they keep their client-base limited to assure they can provide thoughtful, customized financial guidance. With a fee-only commitment and dedication to values such as integrity, transparency, and excellence, Delphi Private Advisors solidifies their 5-star rating as one of the best financial advisors in San Diego to consider working with this year. EP Wealth Advisors is an independent financial advisor in San Diego that takes a comprehensive and integrated approach to wealth management, ensuring clients have the coordination they need to make successful financial decisions. As a top-rated financial planner in San Diego, EP Wealth Advisors makes a fiduciary commitment to always put their client’s best interest first and backs that up by being fee-only. EP Wealth Advisors has an extensive and talented team that serves clients at 10 locations in California, Washington state and Denver, CO. As a top San Diego financial planner, they offer expertise in a number of financial areas. Financial goals and needs can change from one year to the next, meaning that a successful financial strategy should involve many different elements of financial planning and investment management. EP Wealth Advisors offers clients value-added services, such as informed investor events and a personal finance website. Their focus on creating close personal relationships with clients offers individualized attention that clients often don’t often receive from other San Diego financial advisors. With a commitment to a transparent fee-only model and a wide range of comprehensive services, EP Wealth Advisors easily earns a 5-star rating as one of the best financial advisors to consider partnering with this year. Founded in 1991, Dowling & Yahnke, LLC was started to reduce the complexity of finances and leave clients free to focus on their passions. They are a wealth management firm in San Diego that works with a fee-only, fiduciary, independent model. Dowling & Yahnke has the distinction of being named to Barron’s Top 100 Independent Financial Advisors list for eleven consecutive years. They serve individuals, families, endowments, and foundations and have over 1,000 clients. This team of San Diego financial advisors at Dowling & Yahnke has earned a variety of professional designations that offer clients the value of experience, ongoing education, and industry leadership. Clients can enjoy additional support services along with traditional services for financial planning and wealth management in San Diego when working with Dowling & Yahnke. Working with your pension administrator: In coordination with your plan, working with a third-party pension administrator they provide you with activities reporting and assistance in asset transfer. Consultation with your tax professional: When warranted, reviewing tax brackets, filings, and other data with your tax professional can answer a lot of questions and provide more efficient management of investments. Coordination with your trust & estate attorney: By partnering with your trust and estate attorneys, Dowling & Yahnke can ensure that all your most critical documents are in order, eliminating any surprises down the road. Ongoing Communication: This financial advisor in San Diego conducts ongoing client meetings to ensure your portfolio is still serving your current financial needs and adjusts for any changes in your life. If you have a variety of financial planning and wealth management needs, Dowling & Yahnke’s experienced team of highly-credentialed advisors offer a one-stop-shop for multiple financial requirements. Their wide array of traditional and supportive financial services along with a mission to simplify the financial planning process for clients solidifies Dowling & Yahnke as a top-rated San Diego financial advisor and scores them a 5-star rating. With over 300 years of combined industry experience, HoyleCohen is a fiduciary and fee-only financial advisor in San Diego, Santa Monica, and Sacramento that was founded in 2001. The firm prides itself on a client relationship that feels like family and works with over 1,000 households managing approximately $1.76 billion in assets. They serve clients in Southern California and across the U.S.
HoyleCohen is tuned in to the specific needs of women and their families when it comes to creating a financially successful life. They’ve identified several needs for this type of specialized financial advisory service in San Diego and around the country, such as the fact that only 18% of women feel confident about maintaining their lifestyle during retirement. HoyleCohen understands that accomplishing financial objectives in life doesn’t happen by chance, it happens by design. Their Wealth by Design℠ financial planning process was created to take a holistic and integrated approach to wealth management to create a strategy that works for each client. Deep Discover: They gain a full understanding of each client’s needs, financial situation, and goals for the future. Clear Vision: By helping you craft a clear vision of your wants, these financial advisors in San Diego can model a variety of scenarios and outcomes to guide thoughtful decisions. Awareness & Understanding: These advisors don’t ignore your underlying financial concerns, they work to understand them so they can be fully addressed. HoyleCohen’s holistic and personalized approach to financial planning is one that ensures all a client’s needs, fears, and hopes for the future are taken into consideration when crafting their financial strategy. Their specialty in women’s financial services and customized approach to wealth management provide excellent value backed by a trusted fee-only structure. These factors and more earn HoyleCohen 5-stars as one of the best San Diego financial advisory firms to consider partnering with in 2019. Proving a comprehensive and clear approach to retirement planning and tax-optimized investment management, Pure Financial Advisors serves all types of clients and requires no asset minimums, unlike many other wealth management firms in San Diego, CA. They work on a fee-only model and serve over 2,000 clients from their offices in San Diego, Irvine, Brea, and Woodland Hills, California. They opened their doors in 2007 and today manage over $1 billion in client assets. Retirement Planning: Proper retirement planning that allows you to reach your goals by determining crucial factors that impact your retirement, choosing a sustainable distribution rate, and more. Cash Flow Analysis: These San Diego financial advisors help address and alleviate common fears about running out of money too soon, including factoring in things such as healthcare costs and increased life expectancy. Tax Planning: With the utilization of tax diversification, Roth conversion strategies, tax-loss harvesting, and more, you can minimize your overall exposure to tax associated risks. Risk Management: These San Diego financial advisors can reduce your overall risk by helping you properly prepare for the unexpected. Estate Planning: Pure Financial can assist in planning for your estate (no matter what the size), creating or upgrading your living will, creating a trust, and more. As a leading San Diego financial advisor, Pure Financial Advisors holds its staff to high industry standards of experience, education, and business practices. When working with any of the advisors at Pure, you know you’re dealing with a top professional that meets the firm’s standards for excellence. If you’re looking for a team of highly experienced, knowledgeable, and unbiased San Diego wealth managers, the team at Pure Financial Advisors is an excellent choice. Another unique value you’ll find working with Pure is their “Your Money, Your Wealth®” series of podcast and TV episodes to answer financial questions that really matter to investors. 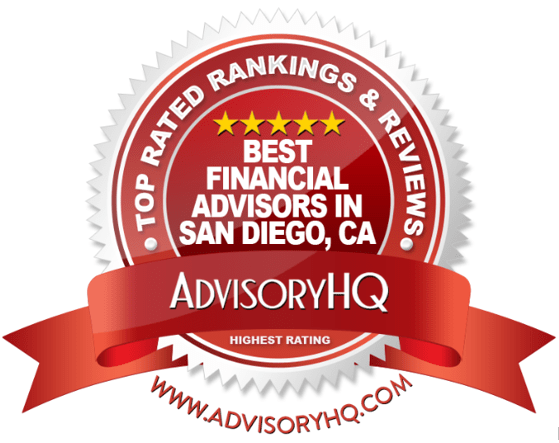 With a fiduciary commitment and an open-door policy for all asset levels Pure Financial Advisors earns a perfect 5-star rating and is one of the top financial advisors in San Diego to consider partnering with this year. Serving clients across the U.S. and the world, Reilly Financial Advisors (RFA) has offices in San Diego, Orange County, Europe, and the Middle East. They specialize in life transitions, with many clients coming to them for assistance with retirement, divorce, recent family deaths, and other transitional events that impact their finances. They are a fee-only San Diego financial advisory firm that also upholds a fiduciary commitment to always act in their client’s best interests and provide complete transparency. Thorough investment management is at the core of what Reilly Financial Advisors does, which is why the firm maintains an Investment Committee, which is a team of experienced financial experts dedicated to identifying economic trends that will impact their client portfolios. Comprised of CFA and CFP® professionals, a Ph.D., and the firm’s founders, this laser-focused team brings over 100 years of collective experience in diverse areas of investment management. This team offers exceptional added value to RFA clients. To be truly effective, wealth management should include all areas of a client’s financial picture to ensure that each one is properly aligned to give client’s an integrated financial strategy designed for success. For those looking for world-class expertise in the investment arena, Reilly Financial Advisors has the experience, dedicated team, and global experience to ensure your portfolio construction is designed for success and resiliency. With a fee-only approach and a highly trained and qualified team of experts, Reilly Financial Advisors is one of the top financial advisors in San Diego to consider partnering with this year and earns a 5-star rating. Taking a unique and uncomplicated approach to financial management in San Diego, Rowling & Associates is an independent, fee-only financial advisor that specializes in tax-efficient strategies. They believe in using teamwork to give their clients the benefit of their combined knowledge and expertise, and each one of these San Diego financial advisors actively engages in their client’s success. Rowling welcomes clients at a variety of asset level, from those just starting out as your professionals to those nearing retirement. Clients have the flexibility of two options to choose from when it comes to their financial planning needs: Intricity and Wealth Management services. This wide range of tax planning expertise makes Rowling & Associates a great option for clients that want to streamline financial management and tax planning services. Their whole-team approach and expertise in tax planning make Rowling & Associates a stand-out choice among San Diego wealth management firms. With an inclusive financial planning strategy that allows clients to choose a monthly flat-rate option or more full-bodied services and a refreshing and welcoming atmosphere, Rowling & Associates scores a 5-star rating solidifying the firm’s ranking as a top San Diego financial advisor. Sensible Financial® Planning was founded in 2002 with a mission of reaching out, especially to those that haven’t been comfortable using a financial planner in San Diego or who didn’t believe they could afford it. This fee-only San Diego wealth management firm is dedicated to providing higher quality financial products at affordable prices to all types of investors. Sensible Financial® focuses on the fundamentals of saving and insurance when it comes to financial planning to create a plan that avoids disruptions to your family’s standard of living. Share: A two-part kickoff meeting either by phone or in person that allows your Sensible advisors to understand your financial goals. Analyze: Your San Diego financial planner reviews your objectives and situation to finalize the best strategy to fit your goals. Propose: Cost-effective investments are chosen, and asset allocation is settled for multiple accounts (including retirement). Act: Clients have the option of retaining this San Diego wealth management firm’s services to regularly review and adjust their plan, they’ll also refer you to insurance resources. An added value beyond traditional investment services offered by this financial advisor in San Diego includes integrated financial services that combine basic financial planning with ongoing investment management. Uniquely, Sensible Financial® Planning also provides a full listing of their advisory fees and a helpful calculator so clients can easily determine their costs up front. With a transparent and flexible fee structure and a commitment to making financial health both integrated and easy to understand, Sensible Financial® Planning is one of the best San Diego financial advisors to consider partnering with this year and is awarded a 5-star rating. WorthPointe is a boutique wealth management firm in San Diego that tailors their portfolios to meet each individual client’s needs. Their philosophy includes giving clients cost-efficient, tax-aware, and diversified investments for a resilient portfolio. As a fee-only San Diego financial planner, WorthPointe puts their client’s best interest first always and is not paid to sell any products, so you know their advice is completely unbiased. Managing your finances and keeping up with a variety of accounts can quickly become overwhelming. To simplify the process, this San Diego financial advisor offers a completely unique tool called WorthPointe 360. This is a streamlined, personalized dashboard that keeps every financial account organized and accessible in one place. While many business owners like to offer retirement benefits to their employees, managing and administering these plans can be a huge responsibility. WorthPointe is a top wealth management firm in San Diego that can take this burden off your shoulders. As a boutique San Diego financial management firm, WorthPointe offers a personalized approach that isn’t found at all other wealth management firms. Additionally, their transparent, fee-only approach instills trust in the client-advisor relationship. 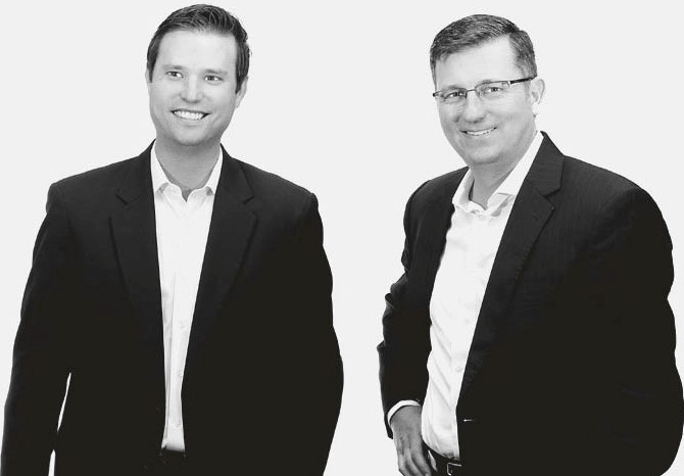 With a tax-aware focus and a fiduciary commitment, WorthPointe solidifies their 5-star rating and is one of the best financial advisors in San Diego to consider partnering with in 2019. From high-net-worth to young professionals and those that don’t typically see financial advisory services as an option, these top-rated San Diego wealth management firms have something to offer just about any type of individual. The next step in your process for identifying the perfect financial advisor for your needs would be to choose about 3 or 4 for a consultation to get to know them better. Several of them offer free portfolio assessments which is a great way to start that “get to know you” process. Once you do contact a San Diego financial planner or advisor, you’ll want to be prepared. Bring relevant financial documents and make a list of questions you can refer to. Most importantly, feel confident in the fact that you’re taking charge of a successful financial road to the future.